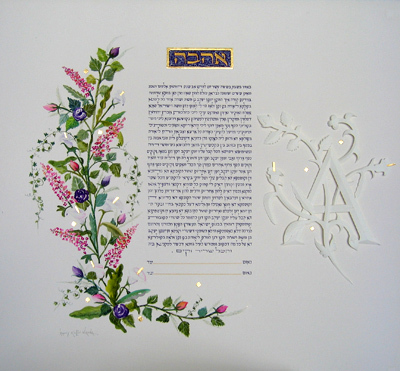 This Orthodox Ketubah was created on the white paper. Painted on the left are Pink Bluebonnets with the play of, Purple Roses, and Pink Rose buds with Calla Lilies. On the right of the text, the initial A was done with the Paper-Sculpture technique.